Featuring quality png images of Nella, Trinket, Garrett and Clod. Notice: The following images were colored and clipped by Cartoon-clipart.co. They are meant strictly for non-profit use. Please include a source link when sharing online. Nella the Princess Knight © Brown Bag Productions, all rights reserved. 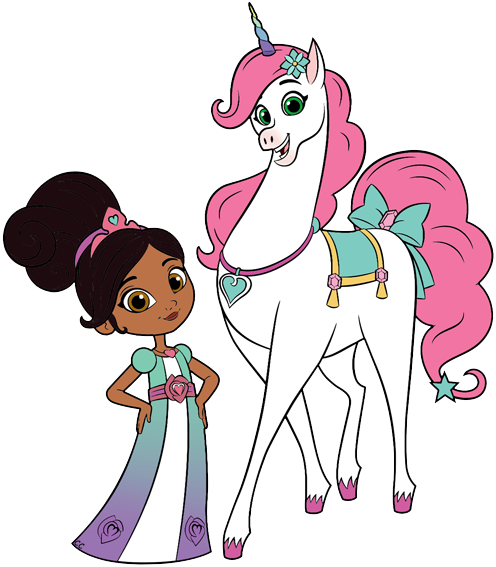 Nella the Princess Knight has adventures in a fairy-tale land filled with dragons, unicorns, and furry friends. With every new journey, Nella proves that little girls can be princesses and knights, pretty and powerful, and fabulous and fierce. Visit the official Nick Jr website. This website is not endorsed by or affiliated with Brown Bag Productions or Nickelodeon Animation Studio.